Ireland is irresistible. It is easy to get to and impossible to let go whether you've come to trace your roots or just to have fun. From the Cliffs of Moher to Howth Head, it's a place of history, mythical tales, majesty and romance. A place that will engage you and change the way you look at life. A place that always manages to outshine any dream with a brilliant and beautiful reality. Five things to do in Ireland this year! The leaves aren't the only thing falling- so are the prices! 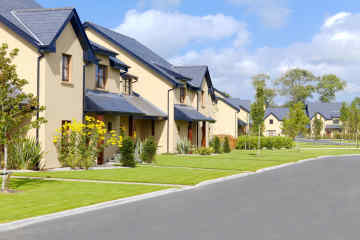 Autumn is the perfect time to visit the Emerald Isle; the rates are lower and the crowds are smaller. With mild temperatures and stunning scenery, there's no shortage of activities for you to enjoy. 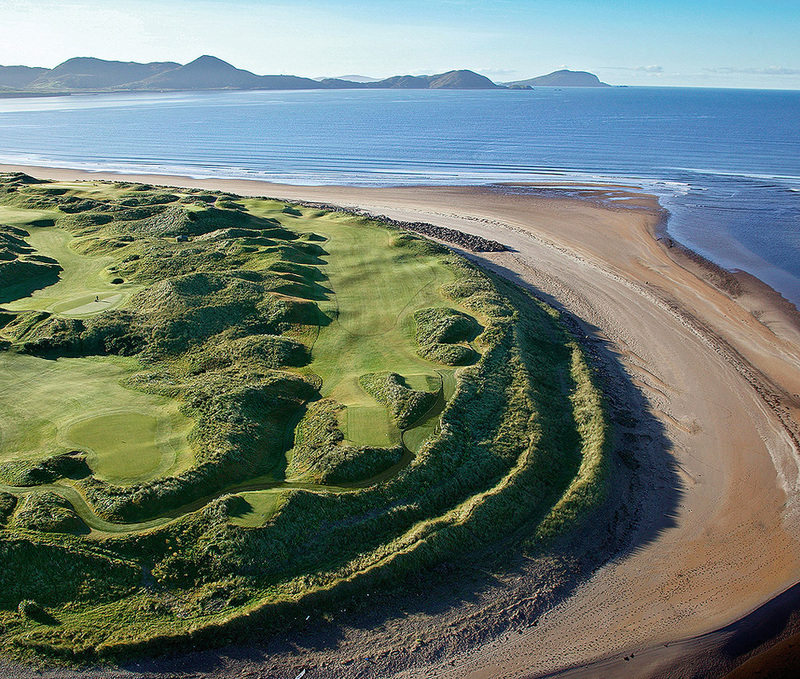 Here are just a few of our favorite things to do in Ireland this fall. 1. Attend a festival. Get in touch with the locals and experience authentic cuisine and traditional music. Consider Dublin's Fringe Festival in September, the Belfast International Arts Festival in October or Europe's largest Halloween celebration in Londonderry. 2. Play Golf. 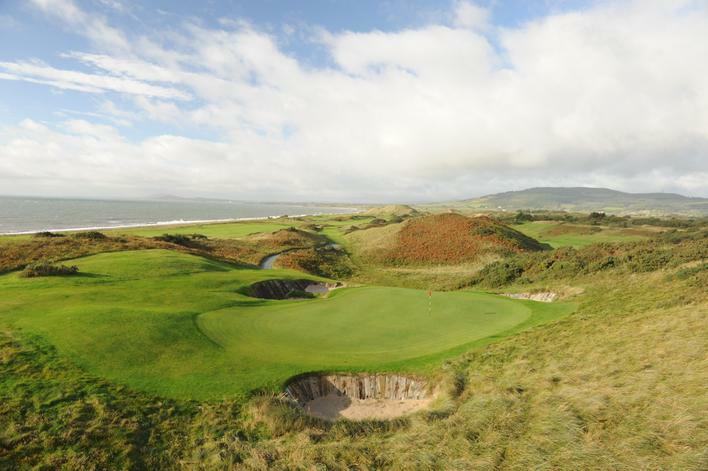 Ireland is home to some of the most respected golf courses in the country and with that, comes high demand for tee times. The fall offers more availability (and often lower rates) on the bucket list courses you've always wanted to play. 3. Go Ghost Hunting With so many centuries old castles, battle fields and other historic sights, it's no surprise Ireland is home to countless tales of haunted locales. Explore the tombs of Glasnevin Cemetery in Dublin or take a paranormal tour of Crumlin Rad Gaol in Belfast. 4. Sample the local cuisine Ireland is well known for its fresh seafood and September makes the beginning of the oyster season. Galway is considered the home of the Irish native oysters and celebrates with a world renowned festival in late September but smaller festivals take place throughout the country. 5. Visit a Garden While Ireland stays very green throughout the year, there is still some stunning fall foliage and beautifully designed gardens to behold. I November, the famous gardens of Mount Stewart in Northern Ireland host a Festival of Lights in which the grounds are transformed into a magical display o color. 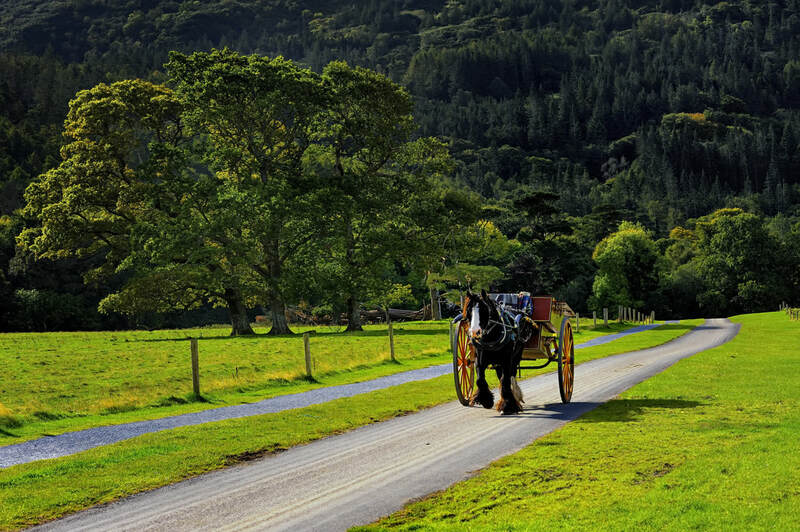 See the sights of Ireland like never before on this 6-night excursion through Ireland's beautiful countryside. Take in the power of the island's natural beauty on daytime excursions to places of interest such as the Cliffs of Moher, beautiful parks, and castled steeped in history and culture. Immerse yourself in the life of the beautiful towns and enjoy comfortable accommodations that will give you a glimpse into local life. ​​From castles to cottages, there's a variety of ways to stay in Ireland - and we can help you choose the right accommodation for every part of your trip. Choose from luxurious manor houses, 4 and 5 star castles, 3, 4 and 5 star hotels and 2 and 3 bedroom villas. 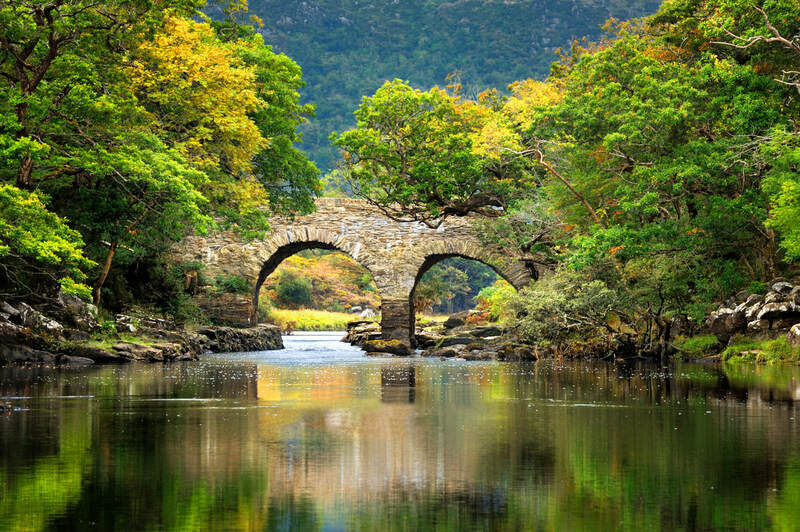 We'll even offer itineraries to guide you through the must sees in Ireland. A La Carte Hotels: Prefer a hotel? We've got you covered. Your choice of hotels range from value-priced to 5-star deluxe properties – pick from charming inns, stately manor houses, modern hotels and fabulous castle hotels. Feel completely at home. Stay in cozy country homes on this 7-night vacation in Ireland. Get expert advice from your hosts so you can see Ireland from a local's eyes. Ask us to custom design an entirely new vacation that's perfect for you. Includes: Private chauffeur or automatic car rental for duration of stay, 6 nights at The Heritage Golf & Spa Resort, Killenard, 3 rounds of golf: The Heritage Golf & Spa Resort, European Club and The K Club, 3 whiskey tastings and tours: Tullamore Dew, Kilbeggan and Old Midleton Distillery, full Irish breakfast daily. 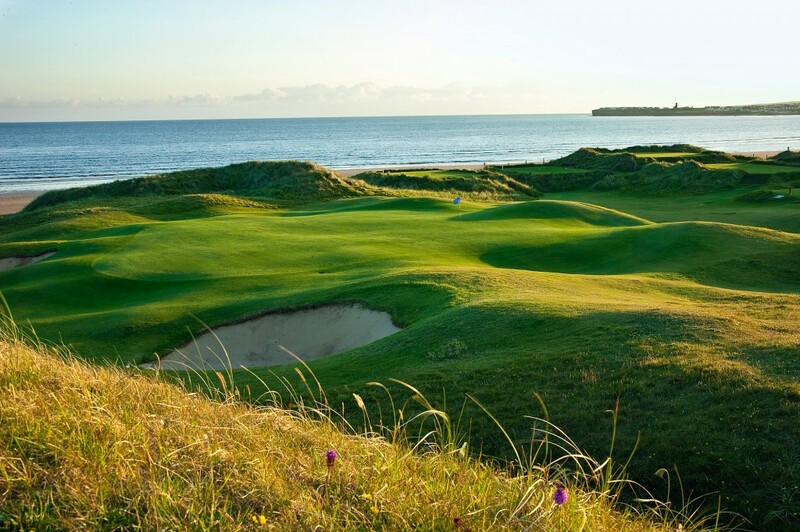 Includes: Car rental for duration of stay, 4 nights at the Europe Hotel and Resort, Kerry, 3 nights at the Trump International Golf Links and Hotel, Doonbeg, 5 rounds of golf: Killarney Golf & Fishing Club, Ballybunion Old Course, Tralee Golf Lahinch Golf Club, full Irish breakfast daily. 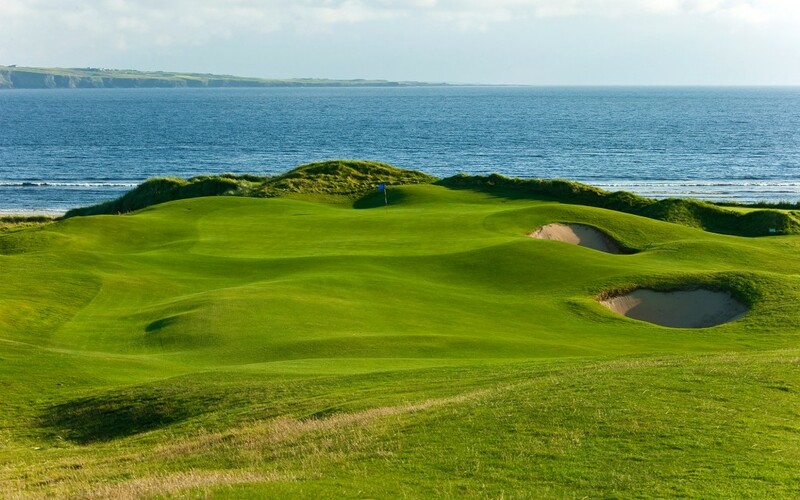 We can arrange tee times at the following golf courses in Ireland when booked with a minimum 3 night stay with car rental or chauffeur driven transportation, confirmed airfare available.